In an industry filled with overused buzzwords and overhyped technologies, the word “revolution” gets thrown out year after year, to the point that we don’t even know what it means anymore. Every new service and application promises to revolutionize your business, revolutionize the industry, and revolutionize the way you communicate. We’ve become so numb to this cycle that we’re susceptible to missing a real revolution when it comes. Or, our anti-hype blinders are so pronounced that we’re unable to distinguish genuine transformational change from this year’s industry darling. Such is the case with software-defined WAN (SD-WAN). I don’t think enough people realize just how revolutionary it is. Before you click away, I’ll stipulate that the SD-WAN is not a technological revolution. That is, the fundamental technology itself is not revolutionary. It’s mainly a combination of tools that have been around for years. But it isn’t what it does that’s revolutionary, it’s the entire paradigm for how you build, design, and procure a network that’s revolutionary. Network procurement has not changed substantially since, well, the invention of the network. When you needed a network, you were at the mercy of “The Phone Company.” Even in the era of competition there were still only three or four serious enterprise network providers. But you were always at the mercy of their footprint, their core network, their last mile delivery, and their network technologies. You were locked in to point-to-point solutions, PVCs, VPNs, and now MPLS – and always with a single provider. We have always been at the mercy of carriers on all aspects of the network in terms of what the networks could do, how they were managed, and how much they cost. What we ended up with are very expensive and inflexible networks with poor management tools and limited functionality. The real beauty of SD-WAN is that it’s not a carrier-centric solution. In fact, it’s the exact opposite. It shines the most in multi-carrier/multi-access deployments. It’s the Switzerland of network technologies, being very neutral in how it operates. It doesn’t care what the underlying networks are and provides the same level of control and management regardless of what the underlying carrier is and what technology it is riding on. So here is the revolution: The user now controls what mix of carriers and access technologies they want. The user now has a choice over the network management tools and UI they want to deploy. Think about those statements in the context of the history of data communications. Never before has the user had more control and insight into their network. And never have they been less dependent on the major carriers. We are entering a new era of networking technology that is not dictated or dominated by AT&T, Verizon, Sprint, or CenturyLink. Or Cisco for that matter. Instead, the revolution is being led by companies from Aryaka to Versa, Bigleaf Networks to VeloCloud (now part of VMware), CloudGenix to Viptela -- and many more. SD-WAN allows you to leverage coax services in a managed environment, layer on 4G and satellite intelligently, and leverage lower cost fiber Internet circuits from multiple providers. And free from the dependency on a carrier centric model, guess what happens? Costs come down -- in some cases, by as much as 50%. But SD-WAN shouldn’t be seen as just a way to reduce costs – the fundamental benefits it brings to the table far outweigh expense reduction. The real reason SD-WAN makes so much sense for most organizations is the fact that it has grown up in a cloud-centric world. MPLS grew up in a private network world, where all of the servers and applications reside in on-premises data centers. We all know that is not the case any more. From an infrastructure perspective, it could be argued that the cloud has made enterprise IT’s job more challenging. In the past, they only had to manage connectivity and performance to a single data center and possibly a backup site. Now, they have to manage performance to multiple cloud providers, with very limited control and visibility into any of them. While the cloud can make things easier for IT, it also carries some unique challenges on the network side. It just doesn’t make sense to take a premises-based network technology and apply it to a cloud architecture. 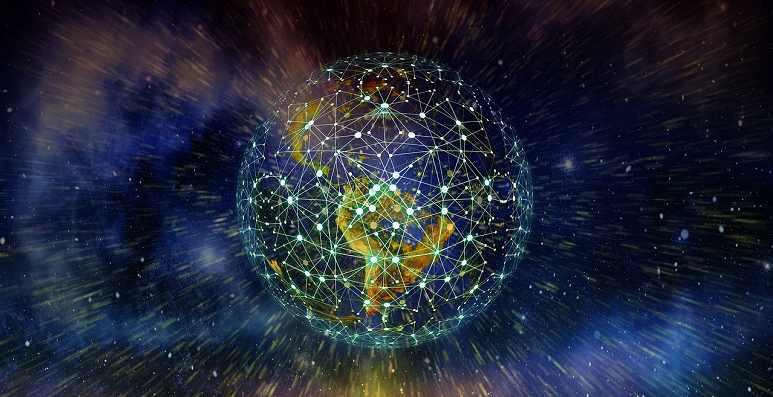 SD-WAN has the ability to maximize any network connections and providers to make sure that traffic gets to the cloud in the most efficient manner, either on a packet-by-packet or an application-by-application basis. So how should SD-WAN be purchased if it isn’t through the carriers? This is a big deal, especially for organizations that may have only bought network services from AT&T or Verizon since the beginning of time. There are two ways it can be done, and both options are best paired with an aggregator that can provide national (or even international) services from all access providers, including tier 1 fiber, coax, 4G, and other wireless technologies. That way, you can mix and match available access modes to provide faster speeds, physical diversity, and carrier diversity to take full advantage of what SD-WAN can do. And depending on the provider, you can have a single bill to pay and a single provider to manage and monitor all of the various network connections. Option one is to then add the aggregator’s flavor of SD-WAN to the network. This option gives you a single relationship to manage and can potentially provide some benefits due to direct integration with the provider’s network. Option two is to add on a third-party SD-WAN solution to the network. This approach is recommended if you want a completely separate service from the network provider. It also allows you to consider alternatives that might better service your use case. The important thing to remember is that not all SD-WAN is created equally. With the freedom of being able to pick your own features, UI, and management platform, comes the responsibility to make sure it’s the right fit for your needs. Finally, it should be noted that this SD-WAN revolution will be fast, and actually it’s already well underway. With most carrier contracts only lasting three years, this train is moving quickly. And while SD-WAN isn’t for everyone, it is a good fit for a vast majority of enterprises that are moving at least a portion of their applications to the cloud and require better control and a more reliable network. If you haven’t gotten your pass for Enterprise Connect yet, there’s still time! Register now with code NJPOSTS to get an extra $200 off!